It's Always Someone's Birthday | So there's always a reason for cake! Now that I’m a mom and I have friends that are also moms, I have even more reason to make cakes. So after a few years, I’ve made a comeback! Seriously, the last decorated cake I made was a Christmas cake in 2014! It’s been way too long. 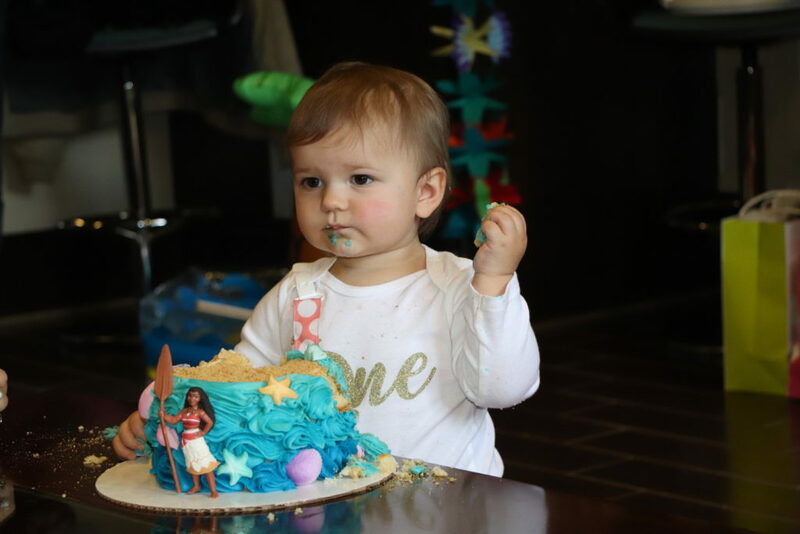 So when our friends Maggie and Doug asked me to make a smash cake for their daughter Elena’s first birthday, I was so happy to dive in! 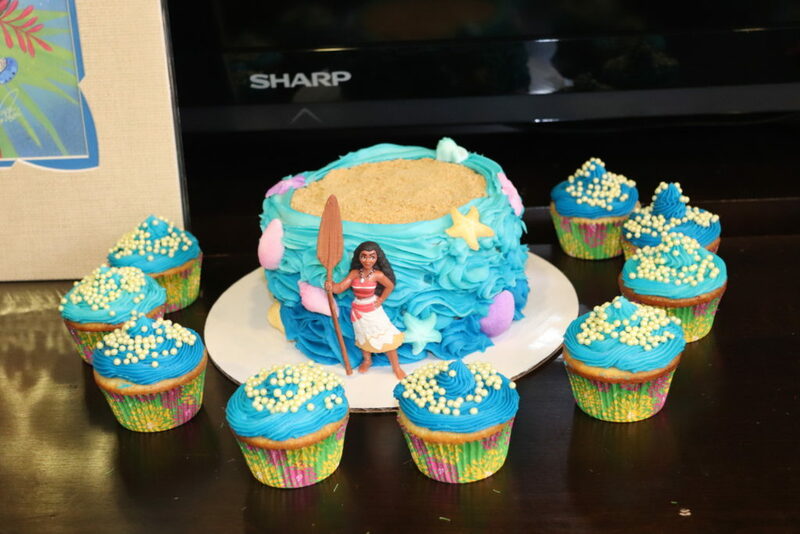 They wanted a Disney’s Moana cake to go with their theme, and I had never seen the movie. But after a little Googling I had some inspiration. With my work and travel schedule, I didn’t have time to make the trimmings for the cake, so I bought them online (thank goodness for Amazon!). 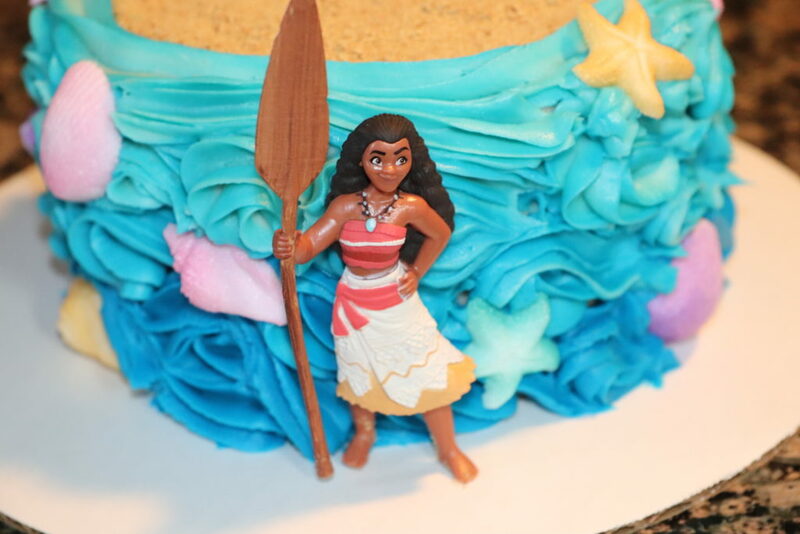 The Moana figure was nicely made. I didn’t think she would stand on the cake, so I opted to put her in front. I found these amazing sugar sea shells that matched the frosting color perfectly. The sand is made of crushed graham crackers. Definitely a fun addition for kids. The cake was made with a tried and true recipe. For the frosting, I used Wilton gel coloring in Sky Blue and divided the frosting into 3 bowls. I made each bowl progressively darker to get an ombre look. I used this tutorial for making the frosting waves. The cake was 6 inches, so I had some extra batter left over and made some matching cupcakes. Believe it or not, I actually had the tropical cupcake liners leftover from another project. Overall, I was really happy with how the cake came out, and I think the guest of honor liked it as well! 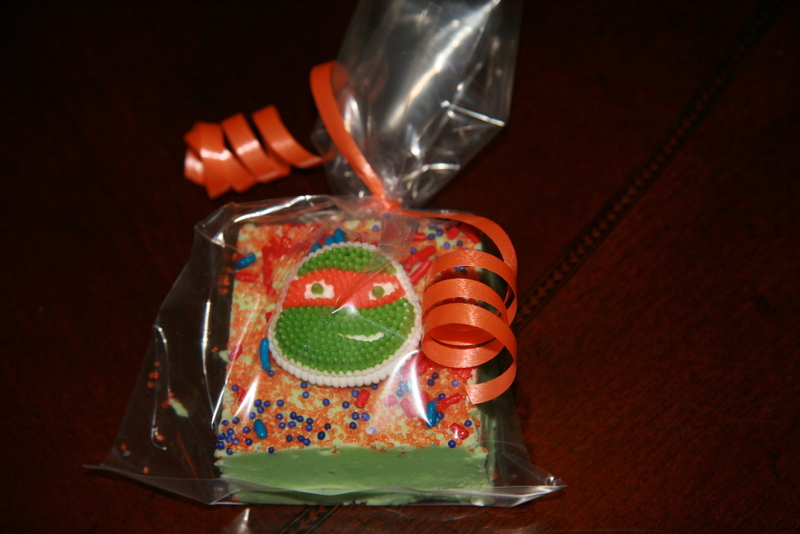 Well, this post is about 6 months overdue…I made teenage mutant ninja turtle themed fudge for my nephew’s first birthday back in February. My original ideas was to make a pizza themed cake or cake pop. 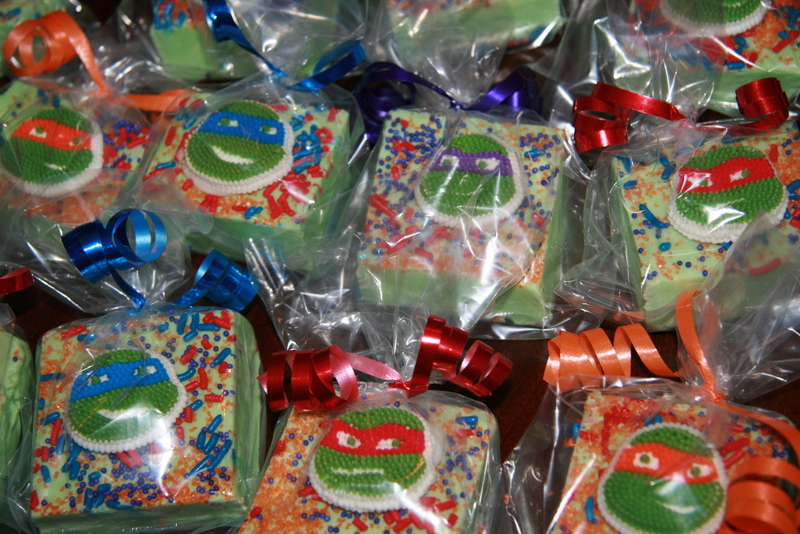 But I needed something that I could make for 100 people, and something I could make in advance since I was traveling for work prior to the party. So I settled on fudge and it turned out great! 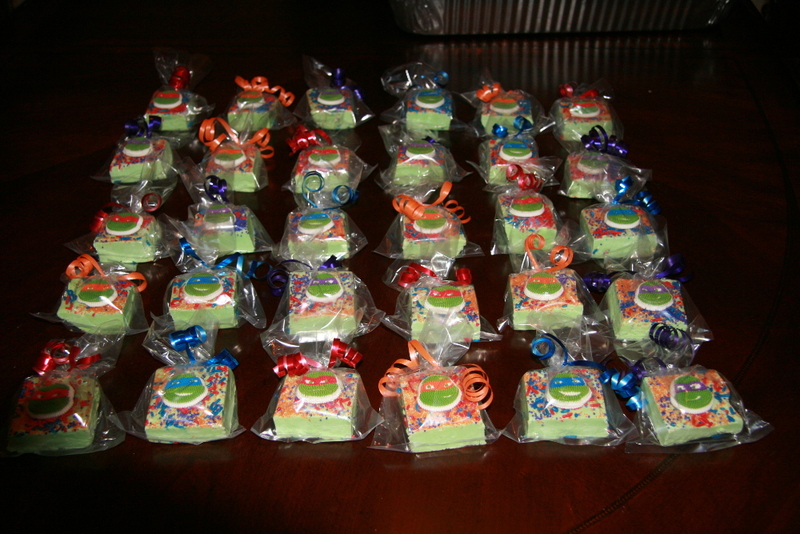 I made white chocolate fudge, and colored it with green and yellow food coloring. I bought assorted red, orange, purple, and blue sugar and sprinkles and sprinkled it on the fudge while it was still wet. 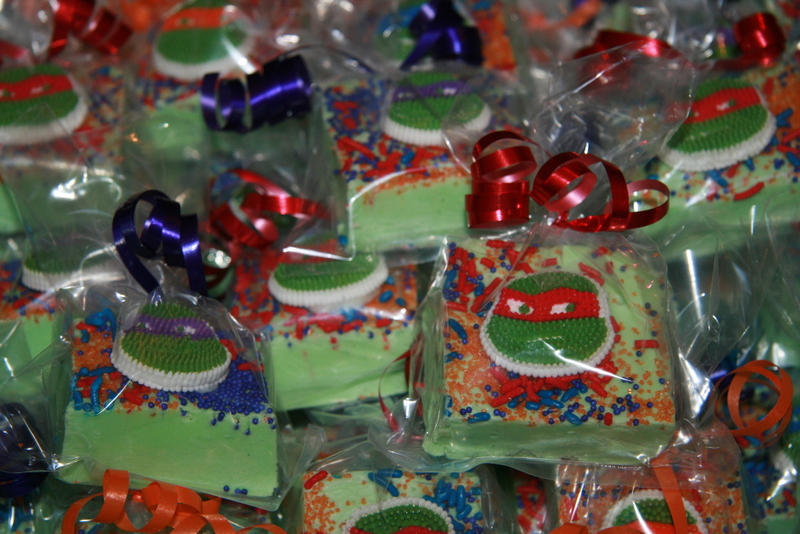 After cutting fudge into 2″ squares, I secured a sugar TMNT face on each square with royal icing. 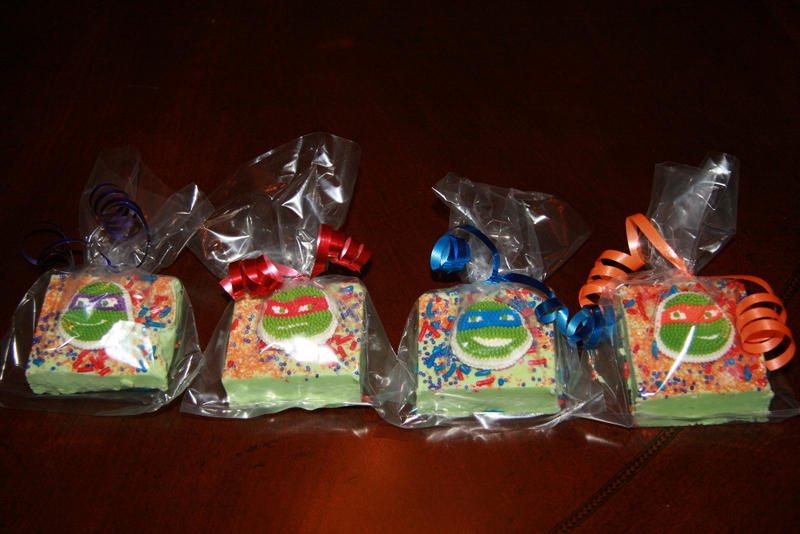 Lastly, I placed them in baggies and tied the top with a coordinating color ribbon. These were super fun to make, and low stress. They are also very versatile. You can change the theme easily by using different sugar toppers and changing the color scheme. I can’t believe it’s been over a year since my last post! I haven’t baked much in the past year and a half, but that’s about to change. With my new little one, I expect to be baking for all her birthday parties! And I hope to teach her as soon as she is old enough. 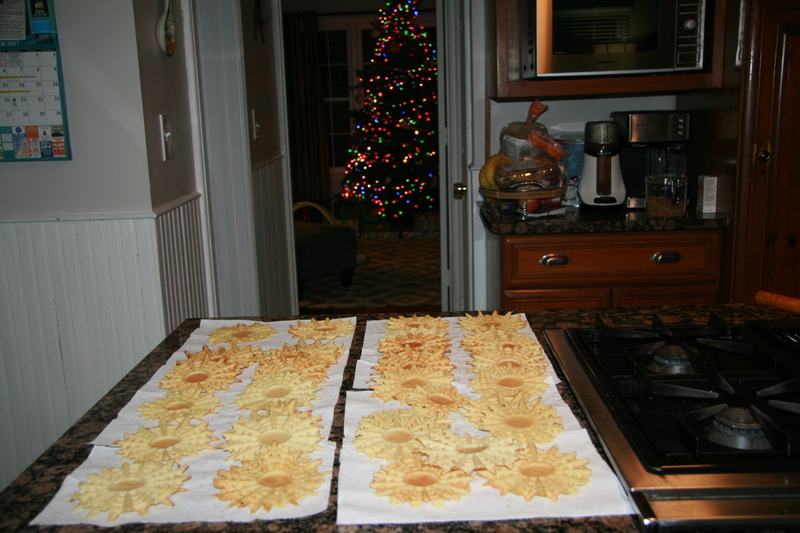 For Christmas, I attempted to make Pizzelle, a wafer-thin Italian cookie that I’ve enjoyed for years when spending Christmas with my husband’s family. 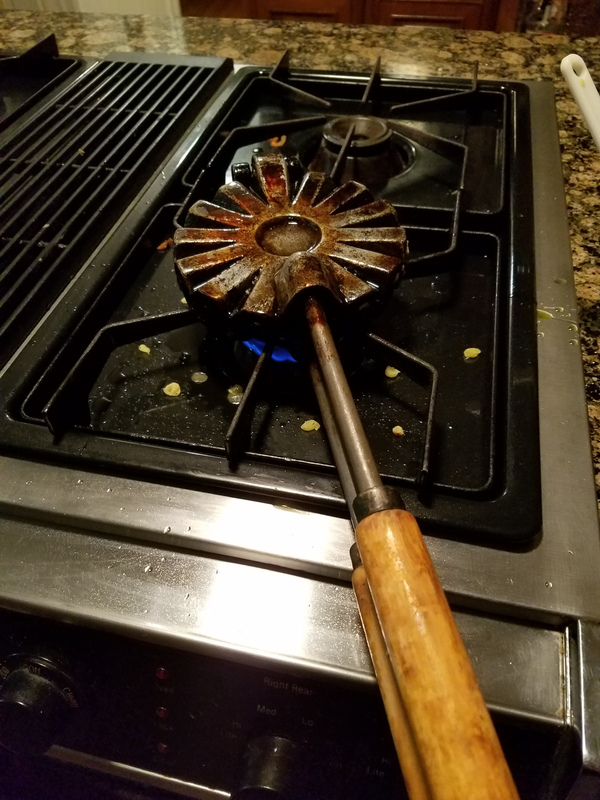 I inherited his grandmother’s old fashioned Pizzelle iron, that you use on the stove top. I was super scared to burn myself, but it wasn’t hard at all once I got the hang of it. 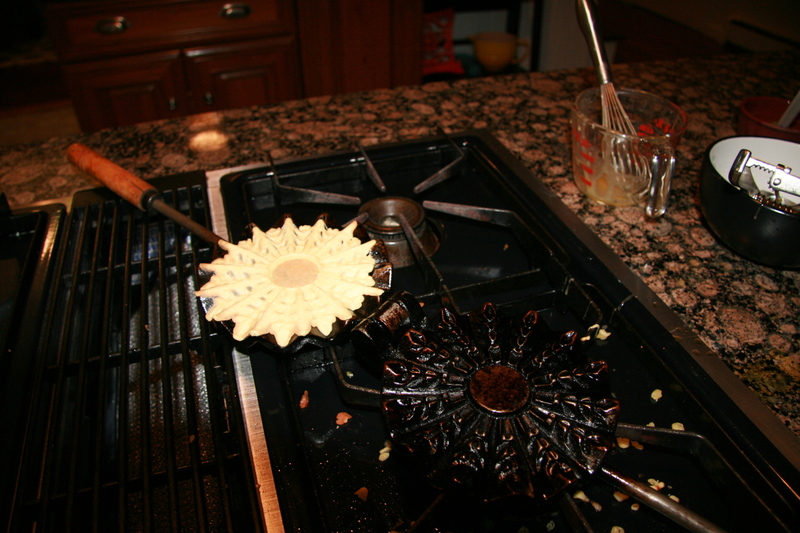 The key is get the iron super hot, then lower the flame so the cookies do not burn. 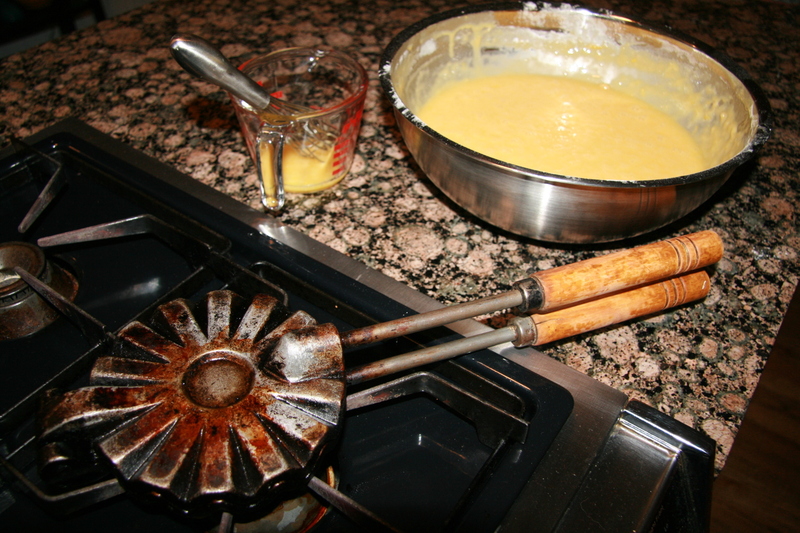 Then add a scoop of batter (I use a cookie scoop). I keep flipping the iron every 10 seconds and after about 30 seconds I open it up to check the cookie. 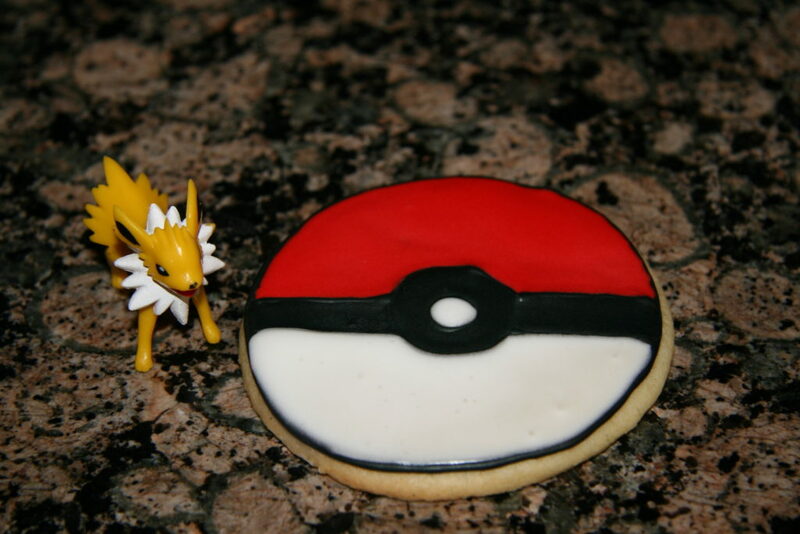 The cookie should be golden brown, and should come off the iron easily with a fork. If it is still floppy, then close the iron and keep flipping for 10 second increments. 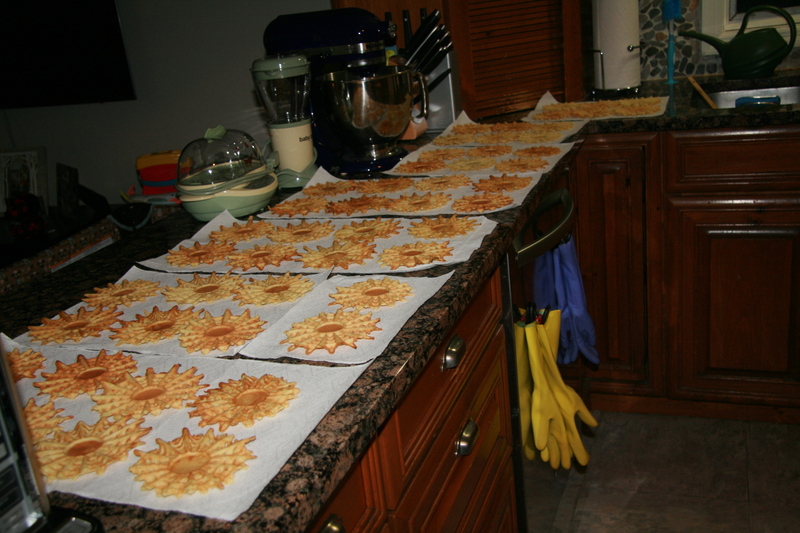 Then carefully lay them out over paper towels to let them dry out. They can be stored in large foil trays, and just cover with foil when you are transporting them. Otherwise they can get soggy. Your house will smell amazing, and it is a great way to get into the holiday spirit! Hope everyone had a great Thanksgiving! 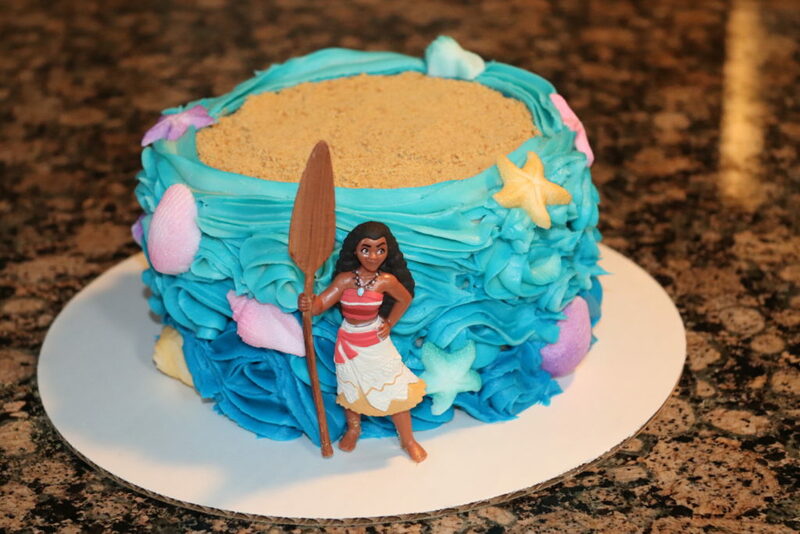 Just wanted to pop on to share a cake I made for dessert. 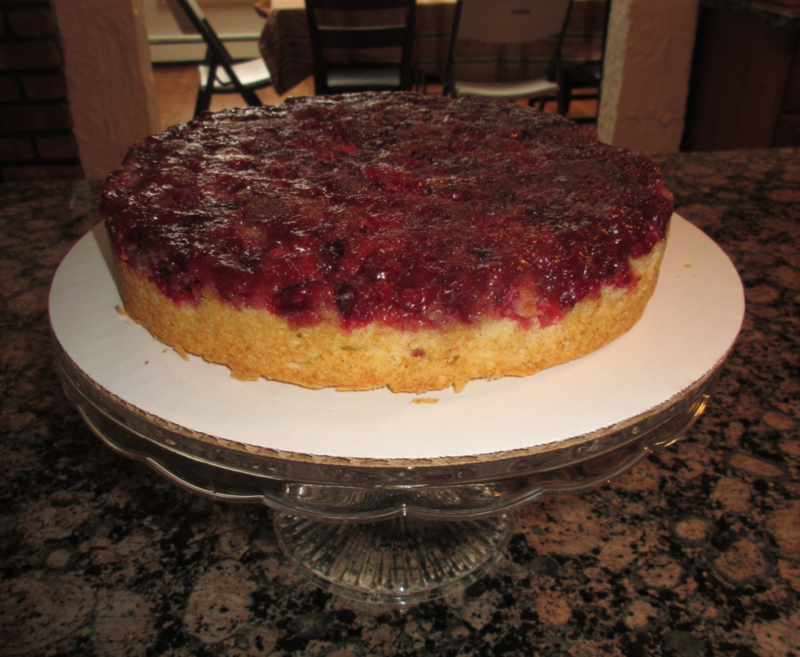 It's a cranberry upside down cake, made with fresh cranberries. I had never worked with fresh before, and was worried it would be too tart, but this recipe was great. The cranberries get caramelized with the sugar and allspice for a perfect combination of sweet and tart cranberry flavor. Rub 2 TBSP of butter along the bottom and sides of an 8-inch cake pan. This will result in a very thick layer of butter. Then in a small bowl, mix ½ cup of the granulated sugar with the cinnamon and allspice. Sprinkle all along the bottom of the cake pan. Place the cranberries in a single layer on top of the sugar mixture. 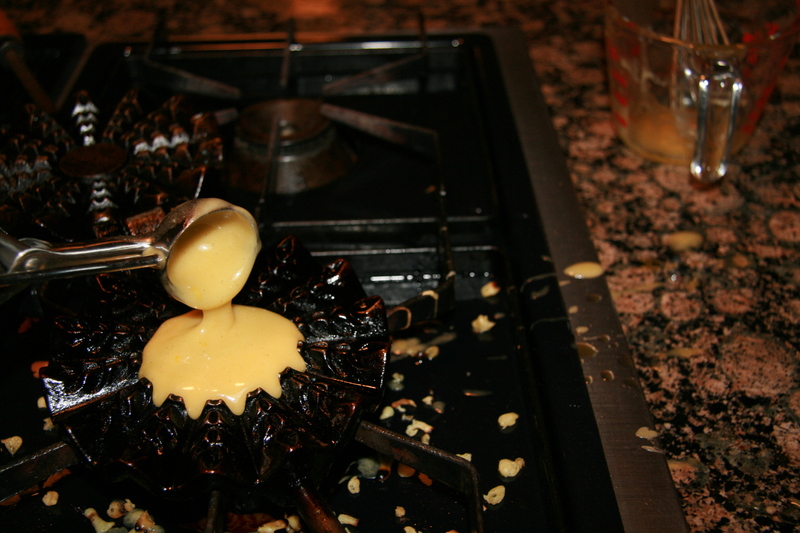 With an electric mixer, mix together the butter and sugar in a large bowl until fluffy. Add in the egg and vanilla bean paste. 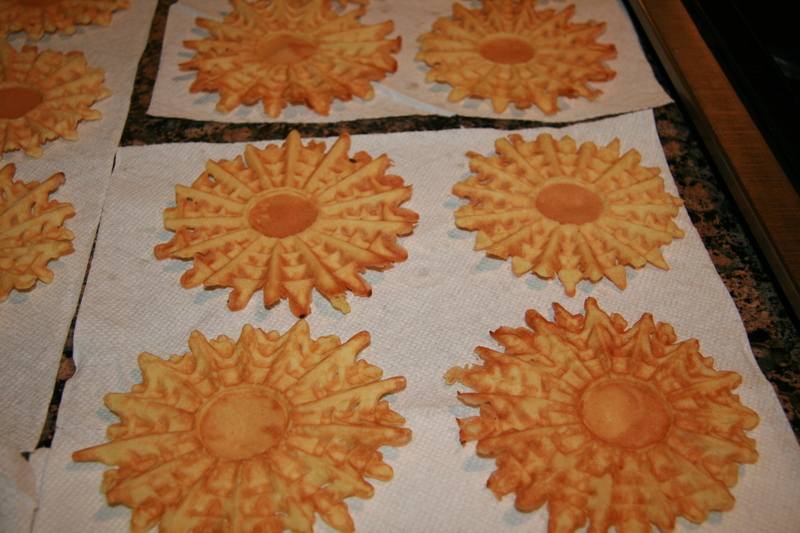 Reduce the speed to low and add the flour to the butter mixture in three batches, alternating with the milk. Spoon the batter on top of the cranberries and spread across until even. 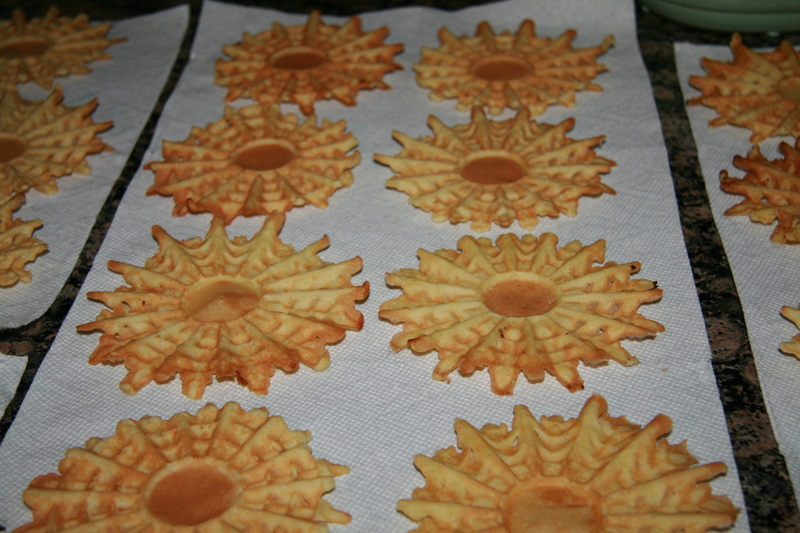 Bake for 30-35 minutes, until a knife inserted in the center comes out clean. Place on a wire rack to cook for 20 mins. Run a cake spatula around the sides and invert the cake onto a plate or cake round. Leftovers can be stored at room temperature. 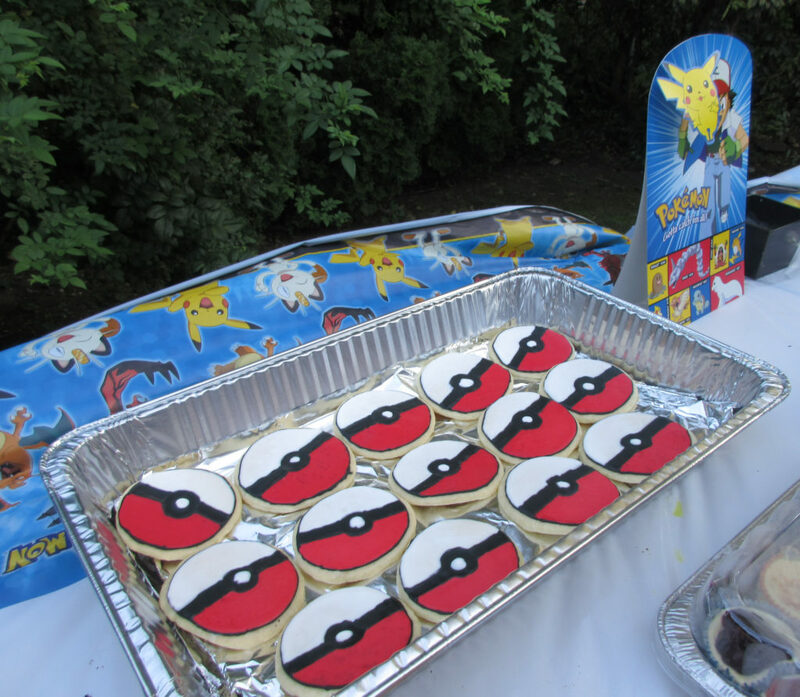 Just wanted to pop on and share some sugar cookies I made for our Pokemon Go themed BBQ last weekend. And yes, this was a BBQ for adults! The game is really run, though I think it needs some updates, as I keep catching the same pokemon.